Winter blues affect one and all, especially if you are low in immunity. So you are always on the lookout for home remedies for cough and cold, right? You, I, and we have experienced viral infections frequently. Probably each one of us has had to deal with such infections every now and then. Changing weather puts you at a high risk of viral infections. Children are particularly vulnerable to cough and cold. But Indian grandmoms and great grandmoms were very particular about home made remedies for viral infections. They would bank heavily on home remedies for cough and cold and depend the least on prescription medications. I still remember the kadahas (therapeutic drinks) and soups that my grandmom would make for us when we would fall sick as little children. Our grandmoms would focus on anti-viral spices from nature's pharmacy, viz. ginger, garlic, turmeric, black peppercorns, basil leaves, and even almonds. Ever imagined why old is gold ? Why dadi ma's nuskhe are so popular? There are reasons galore to trust these home remedies from our grandmothers' cookbook, right? 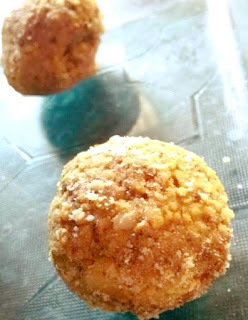 So is this super simple, instant recipe from my dadi's culinary book. I haven't had enough chance to see my dadi cook as she was gone when I was a 6 year old. Sigh!! She was a culinary master and dad says I have inherited a few of my dadi's traits - her culinary tricks and tactics. This recipe was dictated by dad and I followed his steps to the T.
This cold remedy has all the healthy ingredients that are easily available in your kitchens. Did I say this grandmom's cold remedy is yummy too? 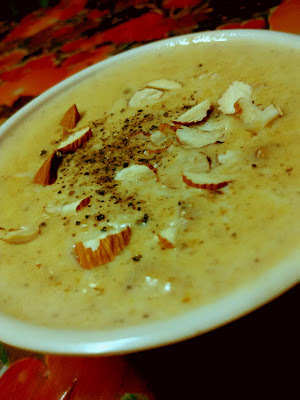 This would second as panjiri for those looking for a guilt-free, guten-free winter treat. You can have it as is - 2 tablespoon at a time or with a glass of warm milk or tea. My mom has learned one proven home remedy for cough relief from her MIL. The recipe for cough is very simple. It goes like this. She takes a few black peppercorns and grinds them to powder. Keeps chopped almonds aside. Then she heats 1 tsp of ghee or clarified butter. 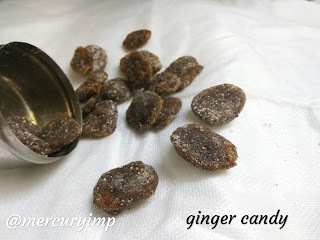 Stir in chopped almonds and instantly drops the pepper and sugar or jaggery as per taste. 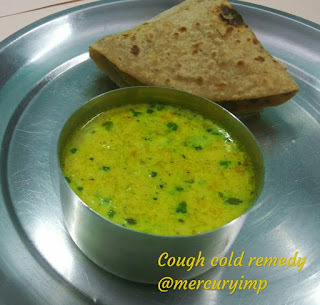 You can have this simple, spicy yet yummy home remedy for cough with tea, milk, or even with a roti (Indian flatbread). My dad often takes it with roti. I enjoy this cough remedy with my cup of tea. 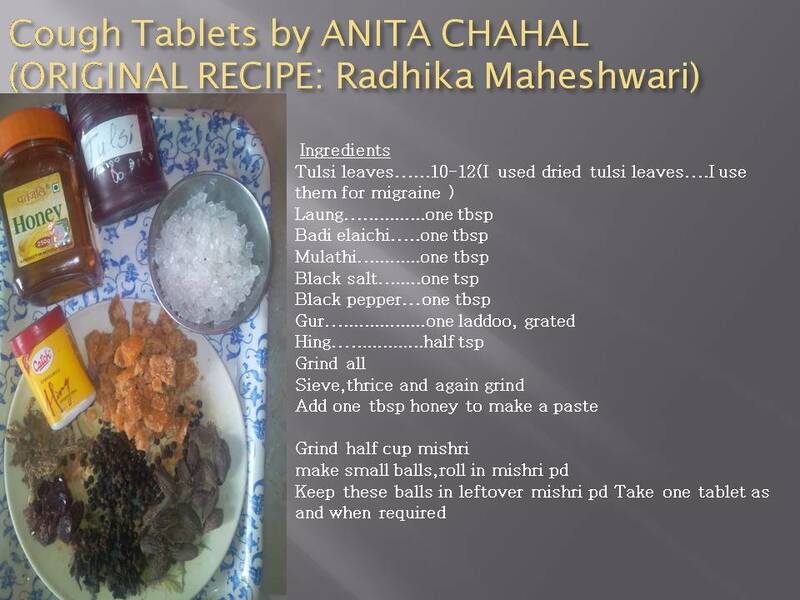 Anita Chahal aunty has shared some amazing home remedies with us in our group "Healthy Recipes by Homemakers." Like mom, she is a simple, suave, and intelligent lady, who cooks simple yet yummy food in her kitchen. Her home remedies are highly effective. I have personally tried her home remedy for cough, and I can vouch for that remedy. It is seriously effective. 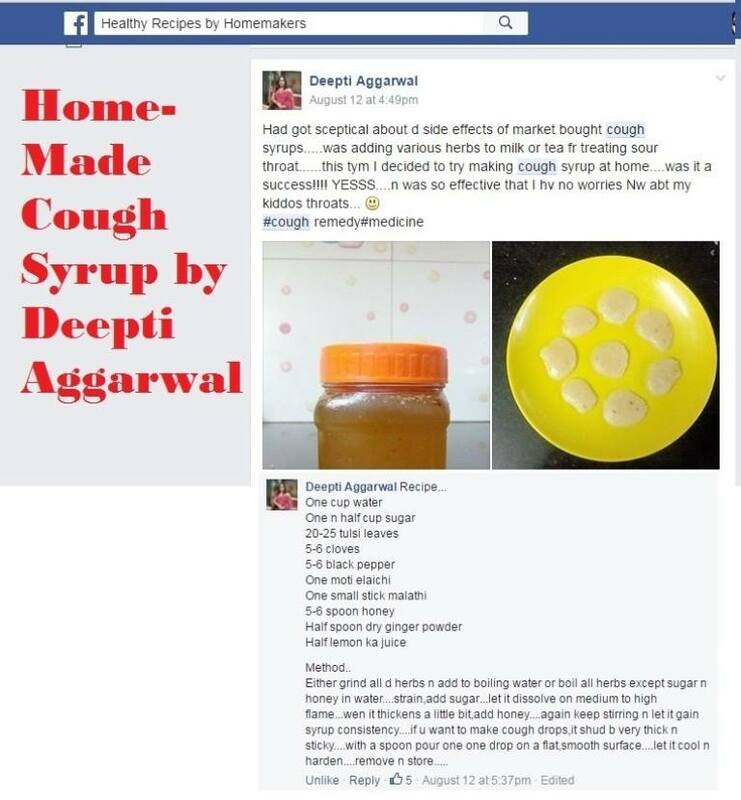 Next comes this home made cough syrup by Deepti Aggarwal. 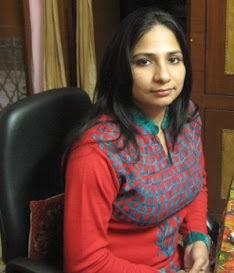 Deepti is a mom to two beautiful kids and serves deliciousness at the dining table. 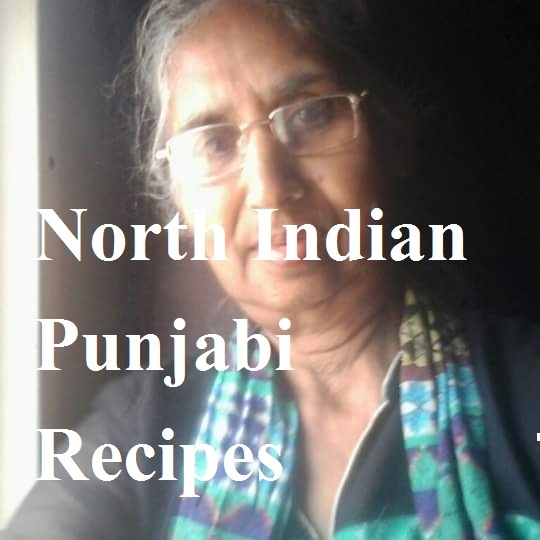 However, she often talks of the proven recipes of her dear mom and grandmom. She has some amazing ideas to transform bland unhealthy snacks into delicious healthy appetizers. Her suji momo recipe is a hit at my place. This is the instant remedy for dry cough that I was mentioning earlier. Do try it without an iota of doubt if someone at home is suffering from painful and sore throat. 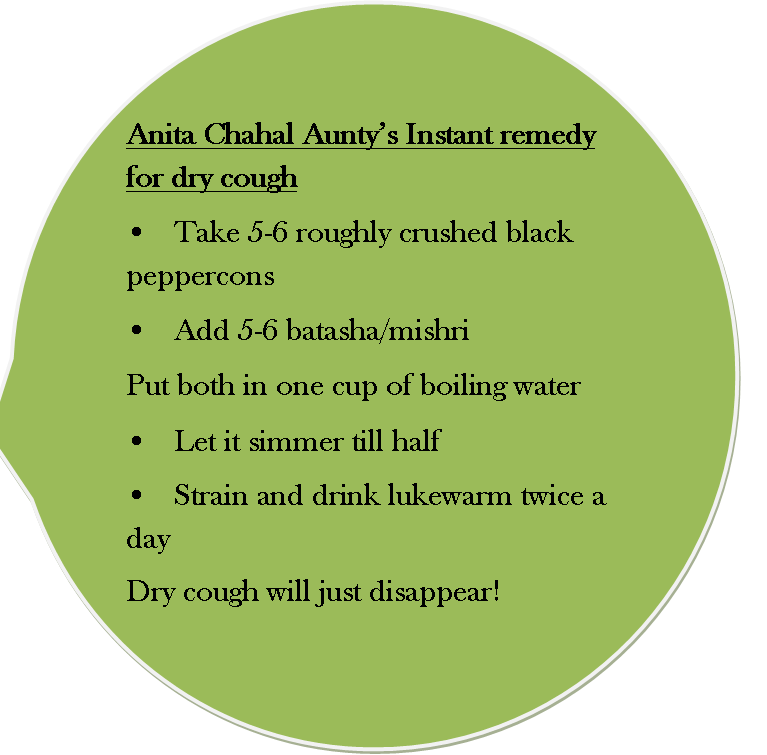 A has taken this home remedy for dry cough a number of times ever since we came across this recipe shared by Anita Chahal aunty. 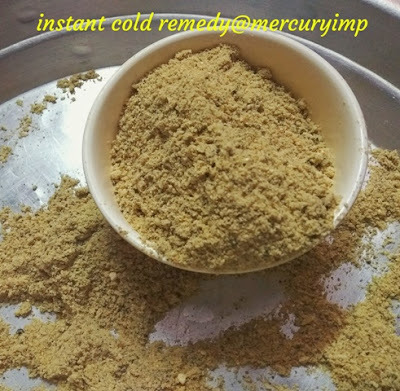 I have shared the remedy for cough with many of my friends and every single person has benefited significantly from the remedy. 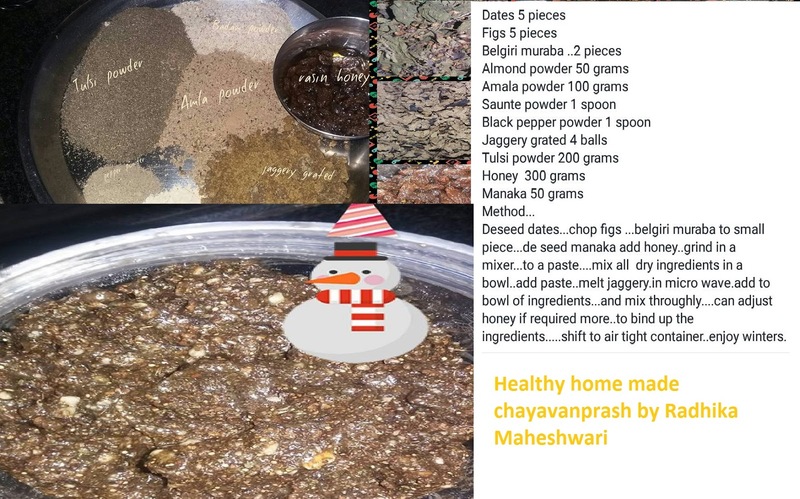 Next comes this homemade chayavanprash recipe by Radhika Maheshwari. 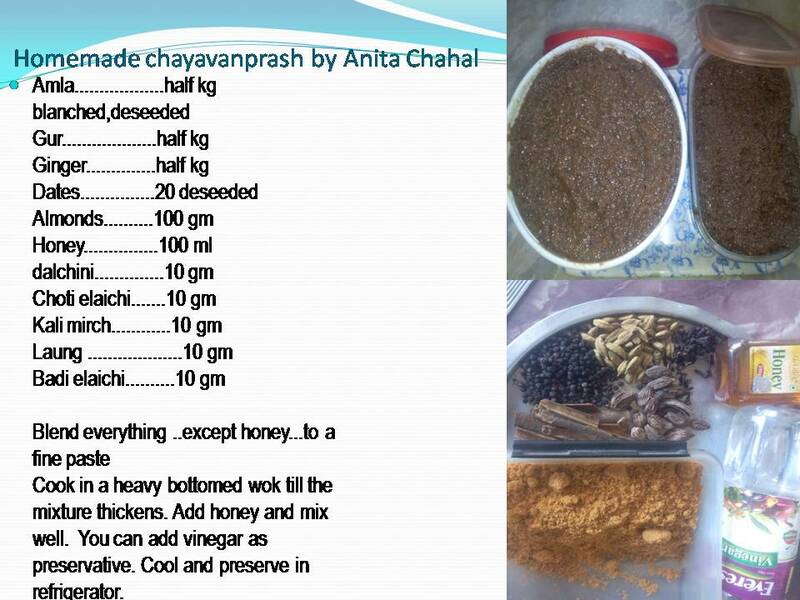 When Anita Chahal aunty shared her chayavanprash, I was seriously wondering about her culinary talent. 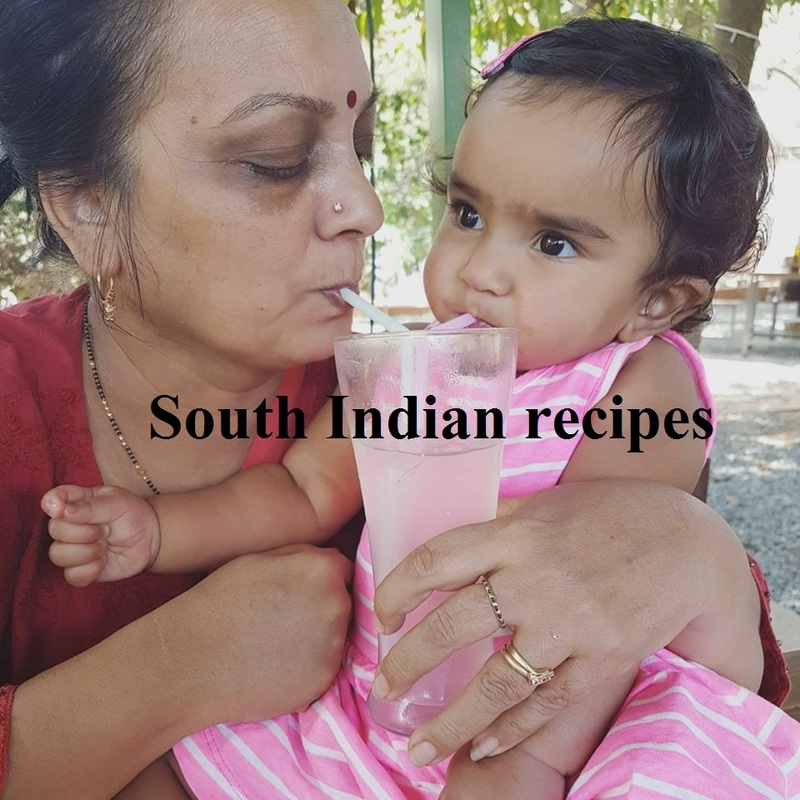 I have no doubt about her home made chayavanprash recipe. 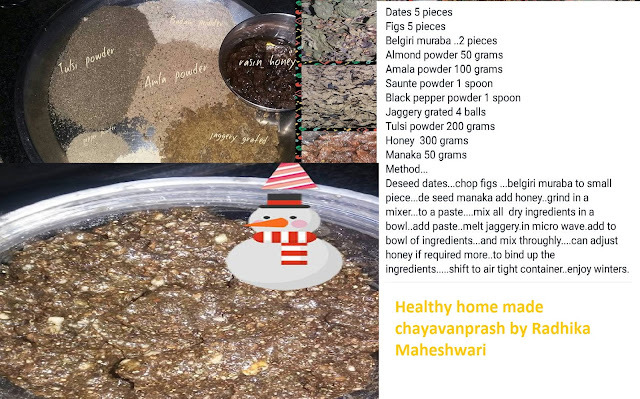 Then Radhika Masheswari shared her chayavanprash with us. Believe me, these people are immensely talented. I have seen Radhika Maheshwari come up with some amazing recipes that will leave you surprised. She is simply wonderful in her kitchen lab. This is the homemade chayavanprash by Anita Chahal aunty ji. I have no words for her talent. She inspires us each day. When she came up with this home remedy for viral infections and immunity boost, I knew she is a bundle of talent. I could never think of this, but Anita Chahal aunty came up with this homemade cough tablet recipe, though she has always credited Radhika Maheshwari for this recipe. Both these ladies have a goldmine of culinary talent that makes them the queens of their homes. Perhaps Anita Chahal aunty is the queen of our hearts as well. She has silently stolen away many hearts in the food world. 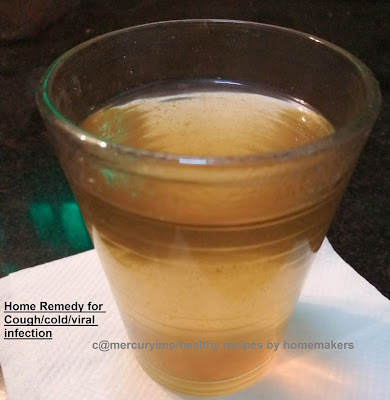 This home remedy for cold is a tried-n-tested recipe, which has never failed me (us). 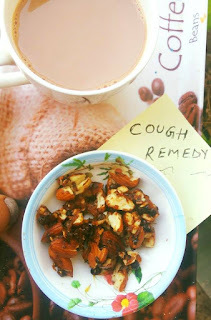 A recipe by my dearest mom, the cold remedy is therapeutic, besides being a lip-smacking blend of roasted chickpea flour, milk, black pepper, and nuts. Another cold remedy passed onto my mom from my grandmom is a very delicious curry made from ginger and garlic paste. Remember, these root plants are immensely therapeutic and have proven healing properties. I will do a detailed post on it. The cold remedy is simple. Grind ginger and garlic to paste. Heat oil or ghee in a pan. Add the ginger-garlic paste. When the rawness goes, add salt, turmeric, and black pepper. Add little amount of water so that the paste does not stick to the bottom of the pan. 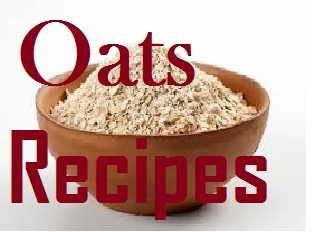 Stir in milk and let it boil until it reaches a thick consistency. We do not want it to be very thick. You can enjoy this remedy for cold with roti. It tastes yummy and is highly therapeutic. After dissolving the sugar now cook at low flame till hard crack stage . Stir countinously .This may take 20-25 minutes. Another home remedy for cough that never fails me is apple cider vinegar and honey concoction. It soothes the throat as the alkaline environment helps kill infectious bacteria in the throat. I always make it a point to take this sour remedy for cough every time I suffer from sore throat. Cough remedy tip: If a loved one is suffering from a sore throat, you cannot leave them to suffer just like that. Stir in a tablespoon of honey in lukewarm water and let the patient sip in the mix slowly aftr every 3-4 hours. 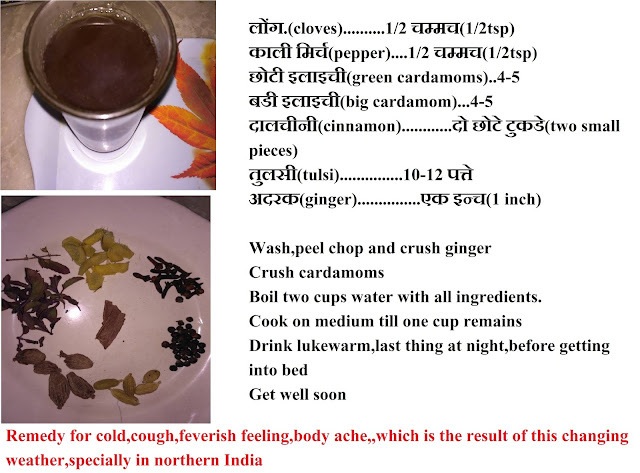 This remedy for cough will surely help relieve their symptoms. Take a few black pepper corns. 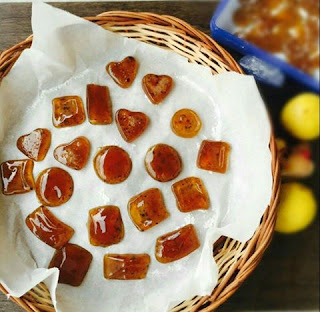 Take equal amount of crystallized sugar. We need little amount of fresh ginger juice, 1/4 tsp of carom seeds or ajwain, and a small piece of cinnamon (dalchini). Boil all these ingredients together until the water reduces to half. Sip when it is still hot and you will find immediate relief from a sore throat. This collection of home remedies for cough and cold should help you manage your viral infection symptoms during changing weather. These remedies for viral infection come in handy any time every time. So if a loved one has low immunity or frequently suffers from viral infections, what are you waiting for? Why not give some of these home remedies for cough and cold a try? I am sure you guys will benefit immensely from this cough remedy collection. Do write to me about your experience. Thank you for stopping by. Glad, you find it useful.